The riposte to that is the reminder that human error accounts for 90% of all automobile accidents. The ugly truth, ugly at least for conductors, is that we can often be the source of the problem even while trying to be the solution. This point was driven home for me twice in the space of two weeks in the summer of 2010, once in Acarigua, the second time at the Schleswig Holstein Music Festival in north Germany, in the exact same bar in the same work. There’s a moment in the Scherzo of Beethoven’s Symphony No. 5 where the music takes on a decidedly dance-like character (mm. 115 in the Bärenreiter edition), with the section ultimately culminating in four hammer blows (mm. 131-132) that deliver that most significant musical gesture of the entire classical era, the perfect authentic cadence. Unfortunately, the significance of said gesture is greatly lessened if the orchestra isn’t together. The character change, the syncopated accompaniment in the inner strings, and the eighth note rests at the start of each of the four preceding measures for the first violins conspire and collude to derail the ensemble at the pivotal bar. And derail us it did in Acarigua, as we rehearsed it in different ways, trying to help the musicians lock in rhythmically. We slowed it down, sped it up, altered bowings, inserted notes into the rests, all to no avail. 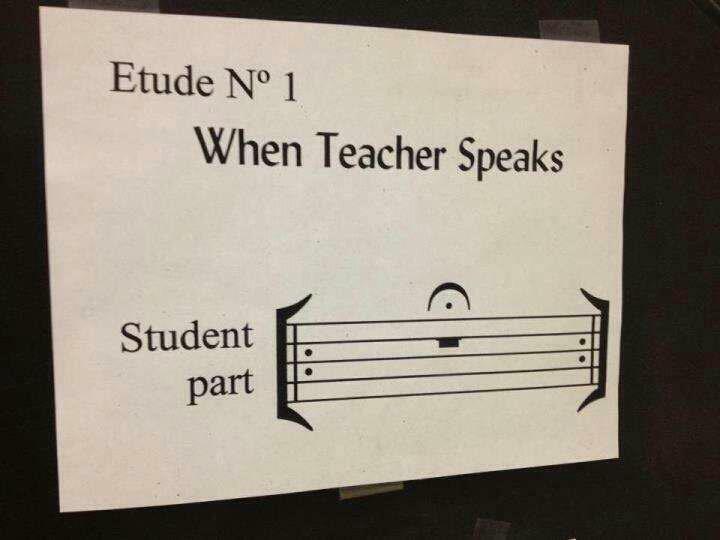 Finally, I asked the principal players of each section to do it without me beating time for them. They dragged momentarily, but as a quartet they dragged together, and when came measure 131 they were in rhythmic lockstep. Then I asked for the first desks alone. Then the first two desks, then the sections. Instead of relying on a conductor, they relied on their ears and their intuition. They heard it, they understood their distinct yet complementary roles, and as a result they nailed it. It was a moment of collective efficacy, where as a group they accomplished something that under instruction from an individual they could not. A first reaction might be to blame the conductor, just as conductors might attempt to blame the musicians, but I felt partly -partly- professionally exonerated just two weeks later watching a very distinguished conductor drive the superb Schleswig Holstein Festival Orchestra into a wall in this same measure. “Watch me! You must watch me here!” was his repeated admonishment to the struggling musicians. He did not desist, so their own self-preservation instincts and previously-suppressed intelligence kicked in. At the concert they ignored him and focused on each other. And they were perfect. Educators need to recognize that the social problems are something of our own […] we are part of the causes that bring them about. It’s a harsh assessment, but it’s undeniable. The best way to promote social goals and to develop collective efficacy is to take ourselves, with our Freirian tendencies, Bourdieuian impulses, personal agendas (no matter how altruistic) and egos out of the picture as much as possible. The conventional concept of teaching, with one person talking and everyone else listening, may yield efficiencies in the context of school or professional music making, but that is not the point in Sistema. Music is a social activity. Problems of ensemble, of dynamics, of rhythm and intonation are by and large social problems, requiring group interaction to solve effectively. You have to be out of tune with someone; you have to be dragging or rushing in comparison to someone; you have to be too loud or too soft in relation to someone. Telling the offending musicians “sharper” or “flatter” or “slower” or “faster” or “louder” or “softer” is efficient but misses the point, which is collective resolution. Solutions MUST be socially oriented; conductors and teachers need to facilitate, not to tell. Social action through music should reveal to young people that they are themselves empowered to effect resolution and change, not train them to believe they require an infallible, all-powerful leader to function. Suppose we give them wrong notes to play in their parts and send them off in small ensembles to see if they can find them. We are so set on getting the right answer as soon as possible that we don’t explore all the possibilities and understand how they work before choosing one they like. Brilliant Jonathan- really intuitive and insightful. Dudamel often stands with hands to his side and lightly sways to the music, is that the same idea?